​PGA golf legend ​Phil Mickelson has been admired throughout his career for his incredible consistency. The lefty 48-year-old golfer is still one of the best in the world. But, this photo that is circulating of his calves is just insane. You're how old, Phil? 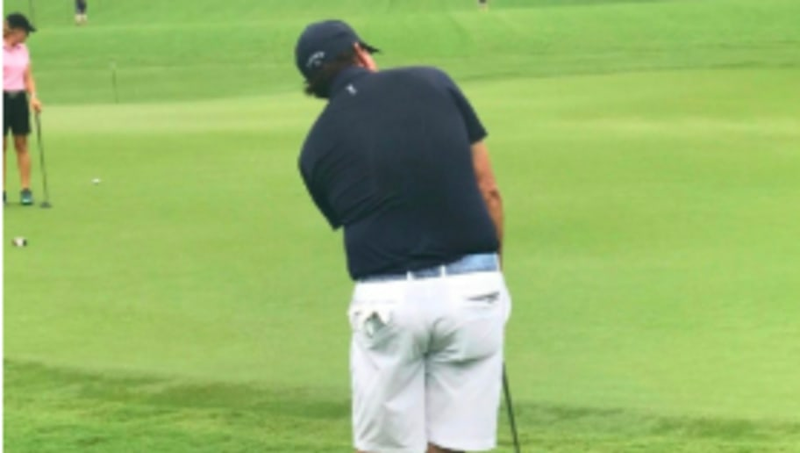 ​​Mickelson is looking jacked in his 27th year on the ​PGA tour. This photo just further proves the freakiness that is Mickelson's storied career. He has won 44 PGA tour matches in his career, which ranks ninth all time. It's late winter and the PGA announced that golfers are allowed to wear shorts for the practice rounds and pro-am. Mickelson took full advantage. When you are nearly 50, you need to take every opportunity you can to showcase your impressive calves. ​Mickelson has appeared to find the fountain of youth, as he is still a worthy PGA competitor even after being a pro for almost 30 years. Keep rockin' shorts over there, Phil.